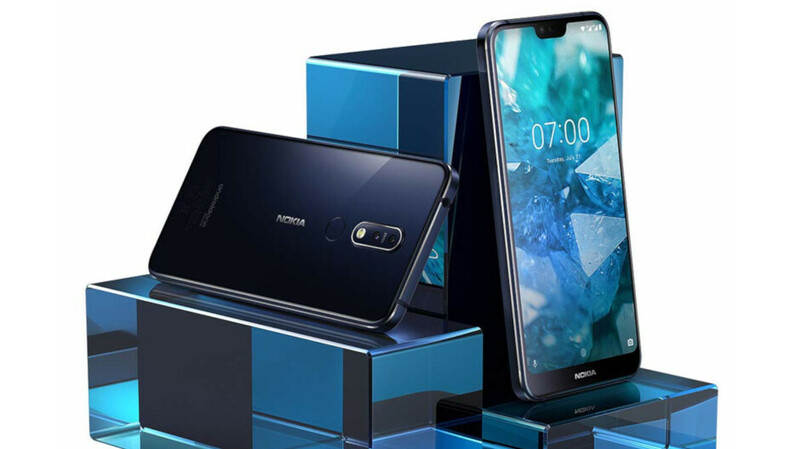 HMD Global, the Finnish company behind the Nokia smartphones, has already brought some of its devices in the United States. These phones are already priced quite decently, so any discount they get will make the Nokia phones even better surrogates for flagships. The Nokia 7.1 is available in the United States for quite some time. The phone was priced at $350 at launch and still sells for the same amount to this day. However, from time to time, various retailers slashed prices to try and sell more units. The best deal we've been able to track put the Nokia 7.1 price at just $300, exactly $50 off the MSRP. Well, that deal is now live once again at no less than three US retailers: Amazon, Best Buy and B&H. All three offer the unlocked Nokia 7.1 for just $300, although Best Buy has a much better deal if you agree to activate it today with AT&T ($100 off). On the other hand, B&H throws in 3 months of cell service on Mint Mobile for free with unlimited talk, text and low-speed data, a $60 value. The smartphone comes with a US warranty and offers dual-SIM support. However, it will only work with GSM carriers like AT&T, Cricket and T-Mobile, so keep that in mind before making your purchase. Even $300 is more than I'm ready to pay for such a device. Pretty good deal for an exceptional midrange smartphone. Money well spent when I purchased mine shortly after it's release. Not a bad deal for the 7.1. I already copped that jawn, but I do give the Moto G7 a slight edge just because it is available for use on ALL carriers in the US instead of just T-Mobile and AT&T only for the 7.1. And I give the Nokia the edge because it has better radios and supports mobile payments. The US G7 does not. That's fine, pops. Yes, the 7.1 does have NFC, but it costs a little more than the G7. At least with the G7, it is available for use on ALL carriers. One could also argue that mobile payments hasn't really taken off that much in the US. The only real way mobile payments will be substantial is if they supported MST like Samsung Pay. I never said anything about CDMA in my comment. I just said carrier support. In case you weren't aware, there's this thing called "LTE bands." That applies to Verizon. The CDMA would apply to Sprint, but if the Moto G phones can add the necessary bands to be used on Sprint and Verizon, then what's Nokia's excuse? Come on Crispin, I understand that age sometimes hampers our ability to think, but you're not one of those fake geniuses. I shouldn't have to explain it to you since you would have been smart enough to understand it.